Item # 289959 Stash Points: 5,499 (?) This is the number of points you get in The Zumiez Stash for purchasing this item. Stash points are redeemable for exclusive rewards only available to Zumiez Stash members. To redeem your points check out the rewards catalog on thestash.zumiez.com. 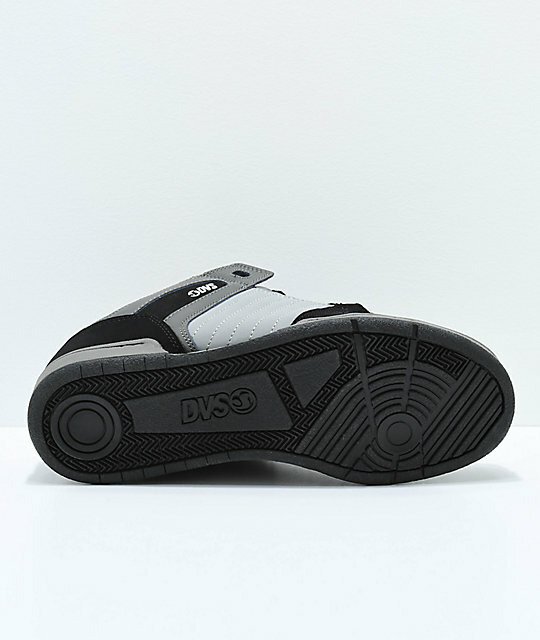 Whether you plan on skating these kicks or simply rocking them, the DVS Celsius Grey and Black Skate Shoes are sure to one of longest lasting pairs of footwear you'll ever step into. 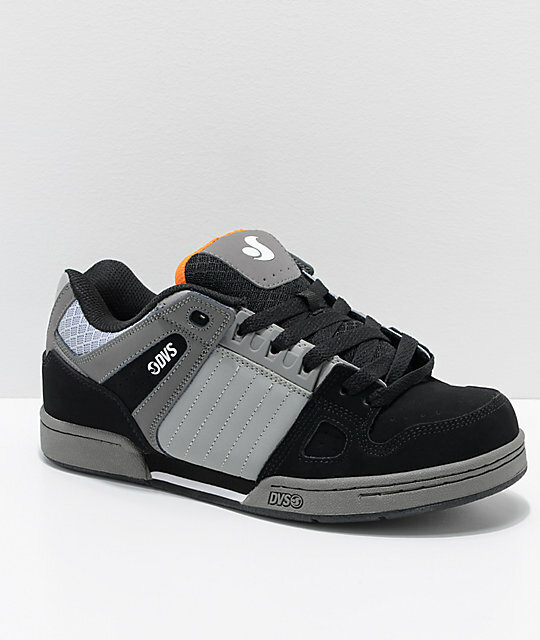 Featured with a nubuck upper and a heavily padded mesh tongue and collar all wrapped up in a cupsole construction, perfect for jumping down gaps and hurling down stair sets. 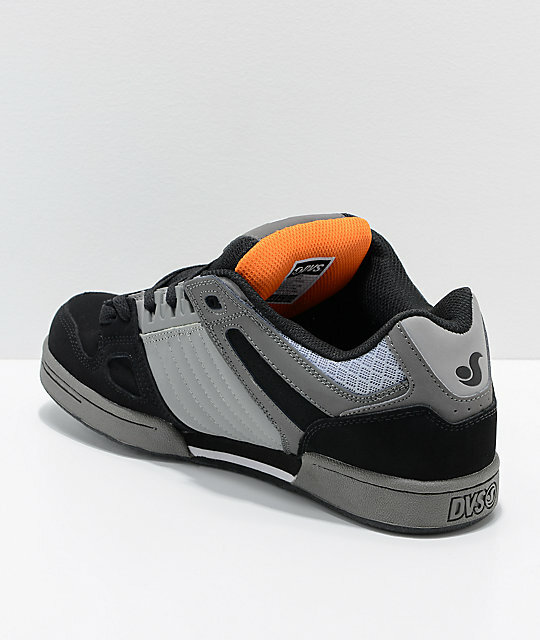 Nubuck upper with mesh trim throughout along sides of collar and top of tongue. Double stitched toe and abrasion areas for durability. Breathable mesh lining throughout interior. 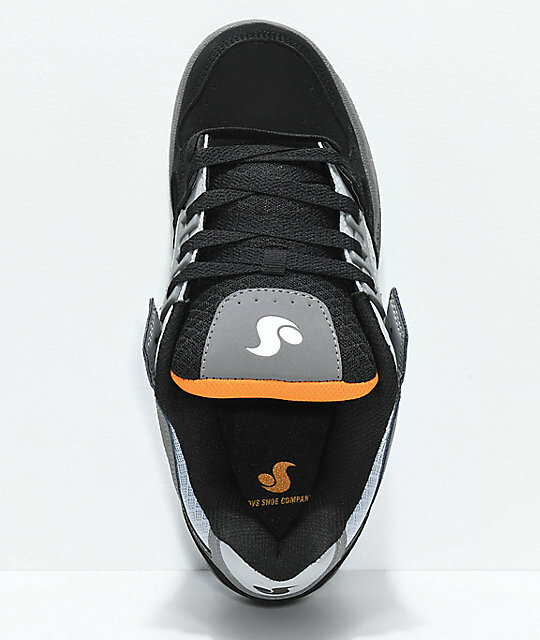 Durable cupsole construction with grippy combo tread.